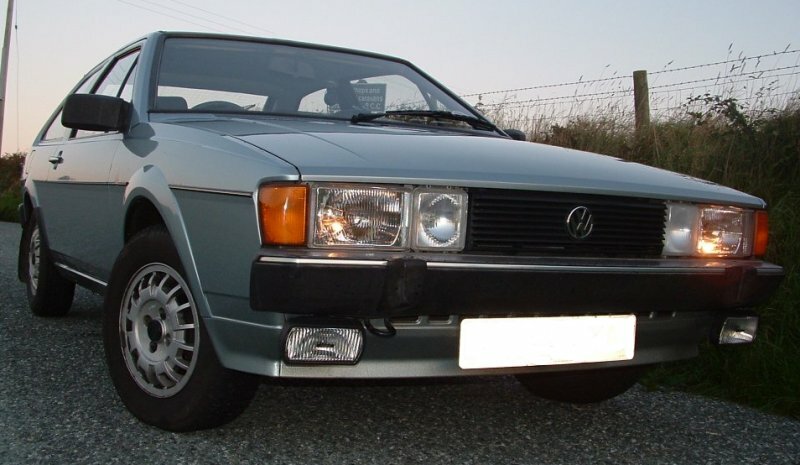 The GL was the luxury model of the Scirocco range when introduced in 1981. It featured alloy wheels as standard and had a thin black side molding with a chrome insert. It was the first Mk2 to have full sized twin headlights that would become standard on all later models. The GL only came with a 1.6 litre carb engine for the UK market. In Germany, their was a choice of 1.3, 1.5 and 1.6 carb engines. An early single wiper UK spec GL in Cosmos metallic. 8-spoke 13″ alloys, headlight washers and metallic paint were standard kit for the UK model. Rear view of an ’82 GL Auto in Sand metallic. Like all pre ’84 Sciroccos, it has no bodykit and a small tailgate spoiler. Also note the lack of black trim on the tailgate and B-pillar. A 1983 Cirrus metallic Scirocco GL. This is a German spec GL with 9-spoke alloys. Like the CL, the GL had no B-pillar badge. Another German spec Scirocco GL, but with steel wheels. 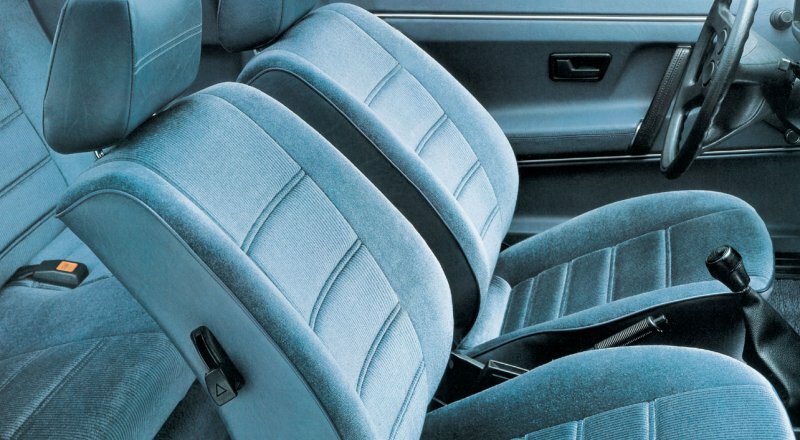 ‘Domino’ velour trim featured in the ’81>’83 GL. 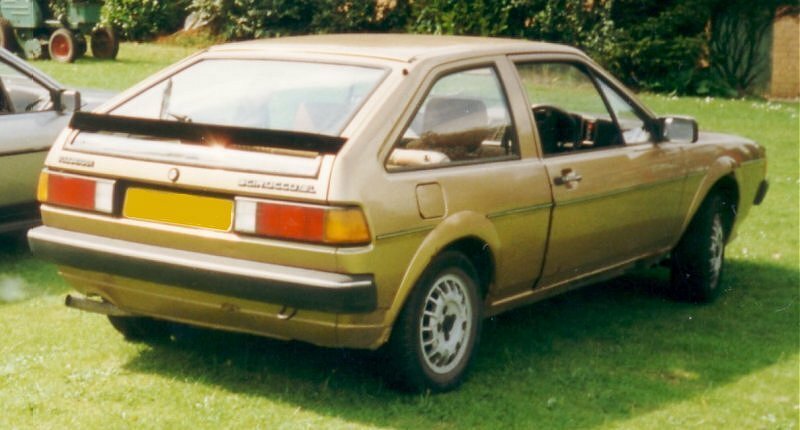 A 1984 UK spec Scirocco GL with twin wipers and 9-spoke alloys. The ’83>’85 GL had this ‘Velour stripe’ trim. The Scirocco GL was replaced by the Scirocco GTL in the 1985 model year. Click here for a Scirocco GL road test report from VW Motoring Aug/Sept 1982. 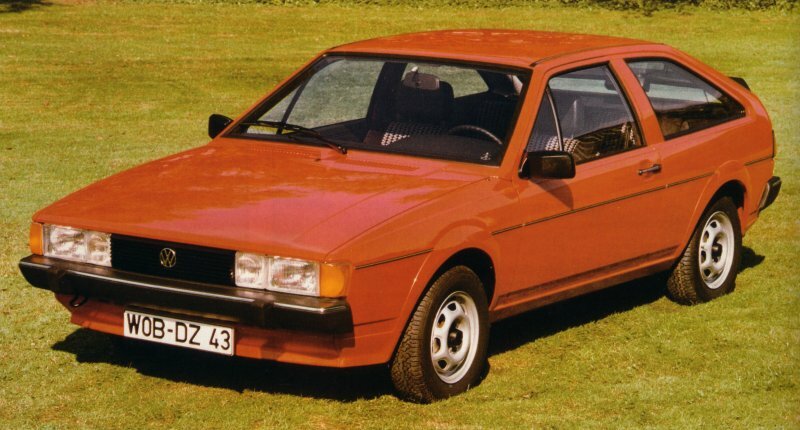 And here for a 1982 New Scirocco article that includes the GL. The Scirocco GLI came with the same trim level as the GL, but had the 1.6litre injection engine. It was never available here in England. A German spec Scirocco GLI.